QuickScripts offer a portfolio of features to ensure that you can fully utilise the product to suit your needs. Below are just some of the many ways in which you can improve your customer service and increase business efficiency. Find out how we help you gain a new competitive advantage. We offer 24/7 support from our fully qualified engineers. Support, demonstrations and tutorials allow for maximum productivity and ease of use. With a drag and drop workflow based interface, QuickScripts is manageable for all. Scripts can be shaped, created and managed in a way that suits your company. The agent view is made up of the visual call guide, along with a second view, which can be configured to match the needs of the company. Common uses for the second page are a company’s CRM page or a custom application through a web browser. The layout of the page can be adapted and changed to suit the needs of the campaign, queue or department. Field validation and integration ensures that all information will be accurately captured and stored. The Manager view of QuickScripts is the workflow based section in which the scripts are created. This area allows for template pages and multiple script management. With the addition of customisable pages, forms and fields, managers are easily able to monitor calls, ensure that customer service is maintained throughout all levels as well as ensuring that all scripts are compliant with necessary regulations. With real time and script analysis available, supervisors and managers can easily view the success of scripts, the performance of their agents and also the pages that have the highest amount of time spent there. This equips you with the information needed to create the perfect flow for a script. Through dynamic customer engagement you can ensure that you are able to provide the best level of service for your customers. By always providing your agents with the latest information for your company and products you can be sure that your customers telephone call journey is as streamlined as possible. Through static or dynamic scripts, agents are able to provide a better customer experience with improved First Call Resolution and reduced levels of Average Handling Time. Text boxes provide powerful validation tools, ensuring precise data entry and accurate analysis via customisable regular expressions. Ensure that your capture data exactly the way you need it every time. With validation available, you can eliminate the possibility of human error and maintain a clear and precise structure for your scripts. Validation can be used in conjunction with any data entry type, so you can rest assured that the information you receive will be accurate and useful. QuickScripts offers full integration into Web Services, Databases and CRM. Providing integration capabilities into outbound diallers allows for precise, measurable and standardised campaign management. 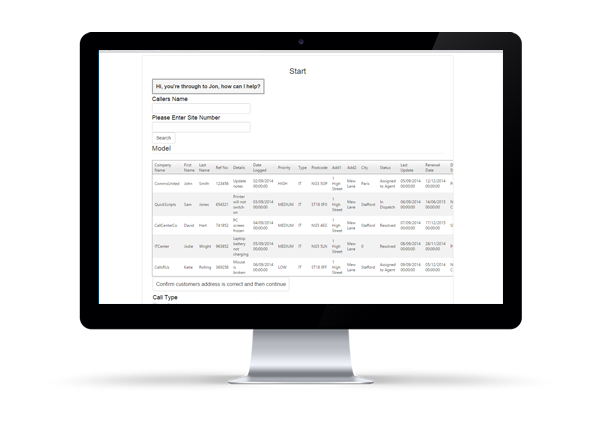 The integration we provide removes the need for duplication of data entry as all the information gathered throughout the script can be automatically stored in your CRM database, providing the most up to date information. All forms are customisable and can be manipulated to suit the needs of any company by utilising the many different input types. Template scripting sections can be created and customised, with easily identifiable colour coded department sections to allow for easy drop and drag in new script creation. This allows for payment sections to be created and standardised throughout different departments allowing for assured compliance throughout. By utilising the drag and drop functionality, users can quickly and easily create scripts. These can be easily customised for each individual department, project or call type. 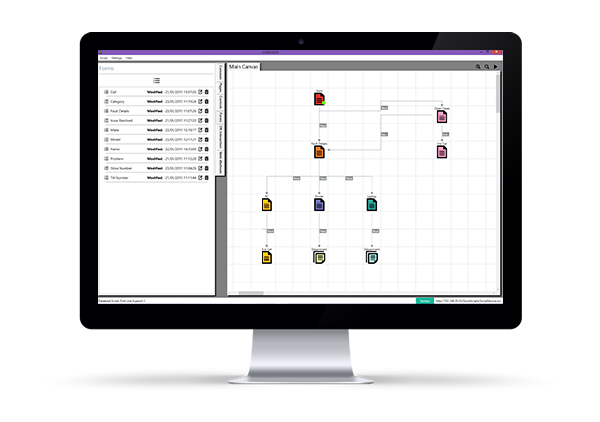 With the ease of a workflow based interface that allows you to manage your scripts on an ad hoc basis, it provides a simple way of manipulating scripts to facilitate unforeseen changes, new marketing campaign scripts to be built, without the need to recreate an entire script. Find out more about our ever evolving product features and technology! © Copyright 2019 QuickScripts. All Rights Reserved.